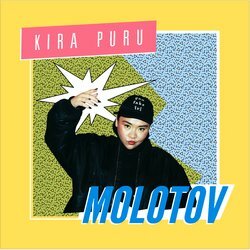 Stepping firmly into the spotlight after the triumphant release of Tension, Kira Puru returns with her highly-anticipated new single Molotov. Tension entered the Spotify Viral Chart in Australia, Sweden and New Zealand, amassed over 1.3 million streams and earned a throng of dedicated fans and industry accolades for one of Australia’s most respected voices. Since the release of Tension, the Melbourne-based artist has sold-out two headline shows, was invited to perform as special guest for Vera Blue and The Rubens and has taken the stage at Groovin The Moo Bendigo, Big Pineapple, Mardi Gras and St Kilda Festival. The hard-hitting Molotov makes its mark with striking lyrical potency and percussion elements. “It speaks to the reality that I am - notoriously almost always up for a good time,” says Puru of the track.